The FHA, through the Secular Student Alliance, offers two $1000 scholarships to full-time, undergraduate students in Florida each year. Winning students receive an all-inclusive trip to FREEFLO. "Secular Student Alliance scholarships are intended to further empower recipients to participate in secular activism during their academic career. We are interested in students with creative activism plans, ambitious goals, or compelling stories. So what do we mean by 'activism'? To us, activism is any activity that promotes secular values and normalizes secular identity through structured organizing. While activism can include large-scale projects like spreading the word on social issues, education issues, community building, and similar projects, it can also consist of more personal actions like being visibly secular within your community and campus. These actions have an impact, and so we want to encourage this activism!" Help us grow this scholarship fund. Consider being a FREEFLO sponsor! One easy way is to offer support is through the Silent Auction where you can donate items to be auctioned and then bid on them. Please contact us if you want to donate an item for the auction. 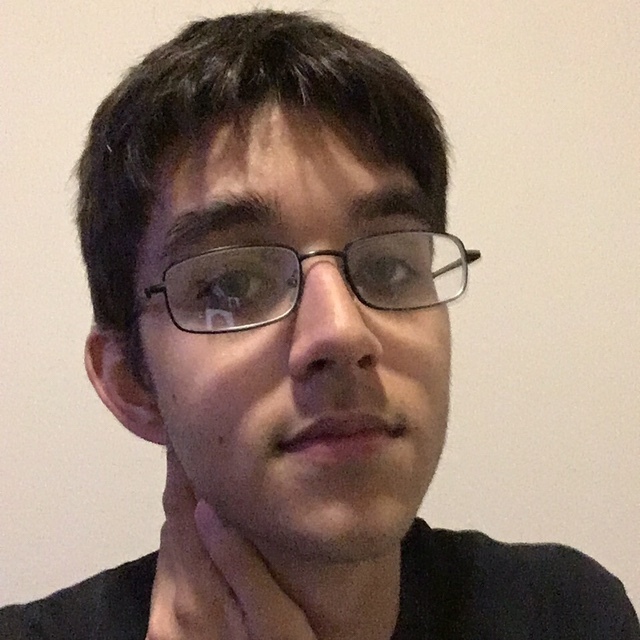 As a student at the University of Central Florida, Noah is majoring in mathematics, specializing in economics, and minoring in computer science. He plans on earning his Masters Degree in Computer Science and studying artificial intelligence to help ensure that smarter-than-human AI will be aligned with human values. Giuseppe was born in Cuba. His mother, a believer in African mythology, took him to a Catholic church every Saturday for services. At age 12, Giuseppe and his mother moved to Trinidad and he was enrolled in a Seventh-Day Adventist school. Giuseppe said, “As a fully devout Catholic Christian, I'd always had questions about religion, but I was too scared to ask them.” In 2015, everything changed for Giuseppe when he and his mother moved to the United States. Giuseppe attended a public high school where religion was not a requirement. Through his education, Giuseppe learned more about world history and other religions. He started reading books by Richard Dawkins and Christopher Hitchens and watching debates online between religious authorities and atheists. The exposure to new ways of thinking allowed Giuseppe to leave behind vague religious philosophies and motivated his passion for physics, philosophy, and secularism. As a psychology major at Miami-Dade College, Giuseppe is keenly aware of the sacrifices his mother has made, working long shifts with no extra money at the end of each month. He sometimes worries he is being selfish, considering his financial background and the lengthy and costly educational road ahead. As a new secular activist, Giuseppe is using social media to help erase the negative connotations around “atheism,” reinforce the wall between church and state, and work towards a more egalitarian society. Giuseppe is also involved with Black History Month and Pride month activities. As an ex-Muslim, Samreena Farooqui faced isolation because of her atheism to a degree that even many other SSA students might not have. She had trouble finding people who could identify with her current experience and her past experiences. The SSA gave her a space to change that. As a former officer at the SSA at Florida State University, she worked with the national organization to find the tools and materials she needed to build the community she and others like her needed, like organizing the Southeast Regional Student conference. She is also active with the Planned Parenthood Generation Action group on her campus. Her activism includes testifying in front of the state senate to oppose a bill that would defund Planned Parenthood, organizing a “Condom Crawl” to pass out condoms to tailgaters before a football game, and organizing the Take No More Fest, which helps fund local organizations like the Oasis Center for Women and Girls and the Trans Liberation Front. Our final scholarship winner is Adam Manno who won the $1,000 scholarship provided by Humanists of Sarasota Bay. In addition to being a secular activist Adam is very active in the LGBTQ community. He recently won the Pride Gives Back award from Orlando PRIDE. Another of his passions is writing. He writes for his student newspaper as well as for Watermark, a local LGBTQ publication. He told us "The important thing for me is being able to use my background as a member of SSA to cover issues from a perspective not often seen in the media. That perspective is based on the crossroads of my existence. Between being a secular LGBTQ student and being a second generation Hispanic-American, a lot of hot-button issues in today's society impact me."